After three decades of service resulting in a proven record of success, our law firm has grown. We are now home to three attorneys, our founder, Mr. Brewer, partner in the firm, Bader Giggenbach, and our associate attorney, J. Tyler Slavey. Together, our lawyers have 65 years of legal experience they will use to assist you with your legal challenge. 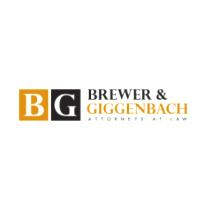 Whether your need for a lawyer is the result of a personal or professional matter, you can put your trust in the legal team at our law firm, Brewer & Giggenbach Attorneys at Law. If you would like to learn more about how we can help you, you can do so by scheduling a free initial consultation at our law office in Morgantown.